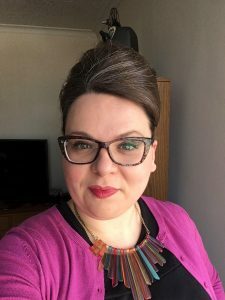 With a PhD from York University in Education (2012) and a focus on meaningful learning in Canadian history education, Dr. Samantha Cutrara has become an expert in her field of teaching and learning history in both traditional and non-traditional sites of education. As a History Education Strategist, Dr. Cutrara develops strategies, projects, and programs to help organizations and individuals teach history in interesting, meaningful, and comprehensive ways. This has been done by developing museum exhibits and related programming, writing curriculum and creating resources for archives, leading professional development sessions for educators, and building partnerships amongst organizations and individuals. Dr. Cutrara was hired by the Office of the Vice Provost Academic at York University as a Curriculum Specialist in 2017-2018 to manage the Academic Innovation Project (AIF): Digital Humanities and Social Sciences for Teaching & Learning. In 2019, she continued her work at York University developing curriculum related to experiential education for the Office of the Associate Vice President, Teaching and Learning. Dr. Cutrara’s first manuscript, Imagining a New “We”: Canadian history education for the 21st century, will be published by UBC Press in 2019. Visit her website at www.SamanthaCutrara.com for more information about her work. Author Information by Samantha Cutrara, PhD, for the Office of the Vice Provost Academic, York University is licensed under a Creative Commons Attribution-NonCommercial-NoDerivatives 4.0 International License, except where otherwise noted.